Dance Marathon season is in full swing! Braden River High School raised $2,931 in their first year! 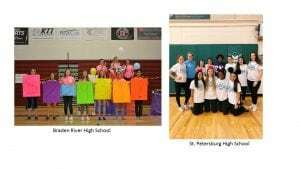 Also, St. Petersburg High school raised $2,791. Congratulations to both on their recent success. Next post: Walmart and Sam’s Club Celebrate 30 Years of Supporting Miracles!